Established in 1837 The Boston Public Garden is a beautiful park in the center of town. I thought I’d share this gorgeous photo taken by Bret Clancy who has many photos of Boston on his IG account and available for sale on Etsy here. 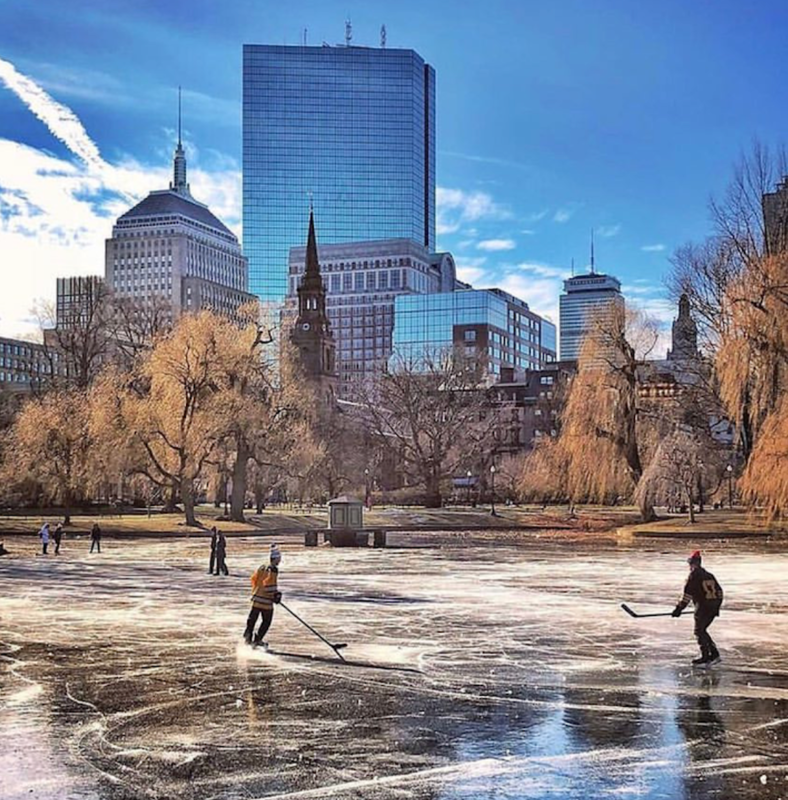 Much thanks to Arts Boston Instagram for posting this picturesque photo of kids playing hockey last month. This entry was posted in Back Bay, Boston and tagged Back Bay, BosGuy, Boston, Boston Guy. Bookmark the permalink.